U.S. television broadcasters are willing to talk about sharing their unused spectrum with broadband providers, but they should not be forced to give up spectrum or be taxed for the spectrum they have, said the head of a broadcasting trade group. The National Association of Broadcasters supports the goal by the U.S. Federal Communications Commission to bring broadband to all U.S. residents, but policy makers should recognize TV broadcasting, with its one-to-many communication model, is a more efficient use of spectrum than broadband, said Gordon Smith, president and CEO of the National Association of Broadcasters (NAB). "Broadband is one to one, and it's spectrum hogging," Smith told members of the U.S. Senate Small Business and Entrepreneurship Committee Tuesday. Mobile broadband providers could solve much of their concern about a coming spectrum shortage by investing more money and putting up more towers, added Smith, a former senator. While much of Tuesday's hearing focused on the broadband needs of small businesses in the U.S., Smith devoted much of his testimony to concerns that the NAB has about a national broadband plan released by the FCC in March. The broadband plan calls on the FCC to encourage broadcasters to give up unused spectrum in return for a share of the money when the spectrum is sold at auction as part of an effort to free up 500MHz of spectrum for mobile broadband uses in the next 10 years. 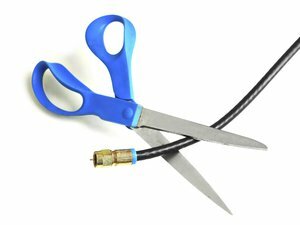 Even though FCC Chairman Julius Genachowski promised earlier this month that he would not force TV stations to give up spectrum, Smith raised the concern that the broadband plan suggests that the agency could require broadcasters to give up unused spectrum if voluntary efforts don't work. Taking spectrum from broadcasters would endanger plans to roll out new applications such as mobile TV and data services offered by broadcasters, Smith said. "Significantly reducing the amount of spectrum allocated for broadcast television, as the current plan suggests, could stifle opportunities for new entrepreneurs ... to develop innovative services for the public," Smith said. "It could also diminish possible opportunities for other small businesses to gain access to affordable data networks." Congress should also discourage the FCC from implementing spectrum fees as a way to encourage broadcasters and other spectrum holders to abandon unused spectrum, as suggested in the broadband plan, Smith said. Spectrum fees would be "punitive" and could drive many small radio stations out of business, Smith said. Stations going out of business is "not good for America, which depends upon local radio stations for news, information and entertainment programming, provided to listeners for free each and every day," Smith said. Genachowski and Steve Largent, president and CEO of mobile telecom trade group CTIA, didn't address Smith's concerns directly during the hearing, but both said there's a growing need for wireless spectrum to provide broadband service to small businesses across the U.S.
"Broadband is the indispensable infrastructure of the digital age -- the 21st century equivalent of what canals, railroads, highways, the telephone, and electricity were for previous generations," Genachowski said. "And small businesses are the indispensable driver of economic growth and job creation in our country." Good broadband connections, including mobile broadband, will help small businesses in the U.S. reach new markets, Genachowski said. "A growing number of small businesses -- those that operate on the go -- increasingly place more and more reliance on mobile broadband," he said. "Together, wired and wireless mobile broadband brings small businesses new revenue from new customers, and lower operating costs from business tools available in the Internet cloud. That's a formula for more profit, more investment, and more jobs." Largent praised the broadband plan's goal of freeing up 500MHz of spectrum for mobile broadband. The mobile industry needs at least that much spectrum to keep up with spectrum available in many other countries, he said. "With adequate spectrum and continued private investment, we can ensure that every American has access to broadband at home, at work, at school and in our public institutions," he added.